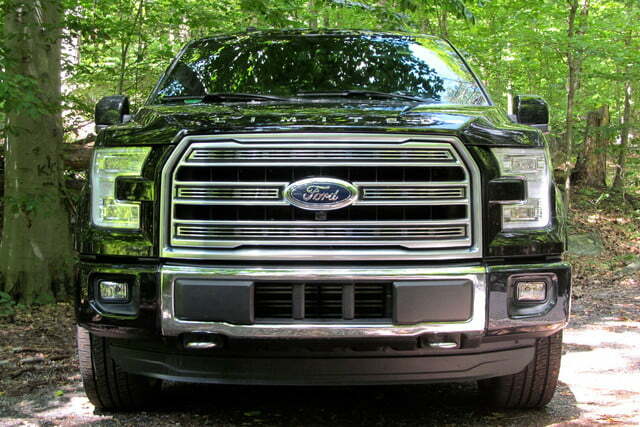 The 2016 Ford F-150 is a civilized and refined full-size truck. The majority of new-car buyers aren’t sliding behind the wheel of a midsize sedan, they’re hoisting themselves into the cab of a pickup truck—specifically, a Ford truck. The Ford F-Series has been the bestselling vehicle in the United States for decades, with the Ford F-150 the most popular model of the bunch. 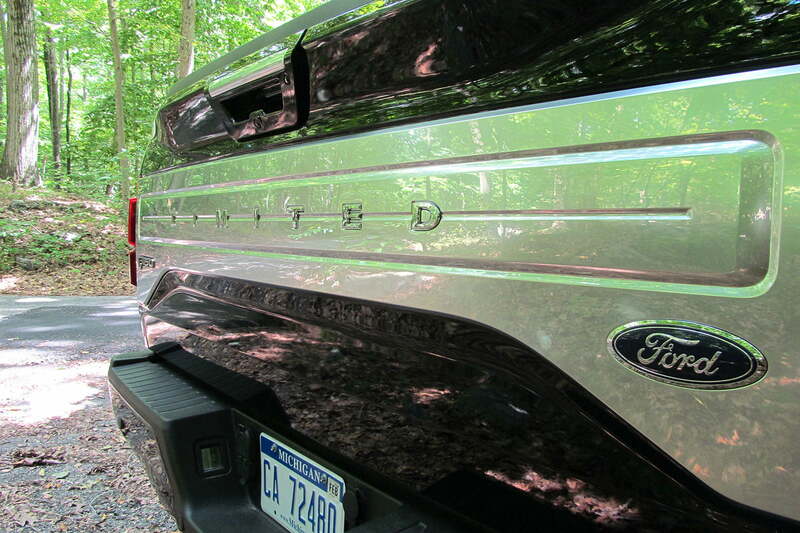 It’s no wonder we named it the best truck you can buy. All of those buyers can’t be wrong — or can they? I spent a week with a 2016 F-150 to find out. Update: read all about the 2018 Ford F-150 lineup here, which promises extensive design tweaks and a raft of new productivity, driver assistance, and infotainment tech goodies. The F-150 was extensively redesigned for the 2015 model year, gaining an aluminum body that Ford says saved over 700 pounds compared to the previous generation. 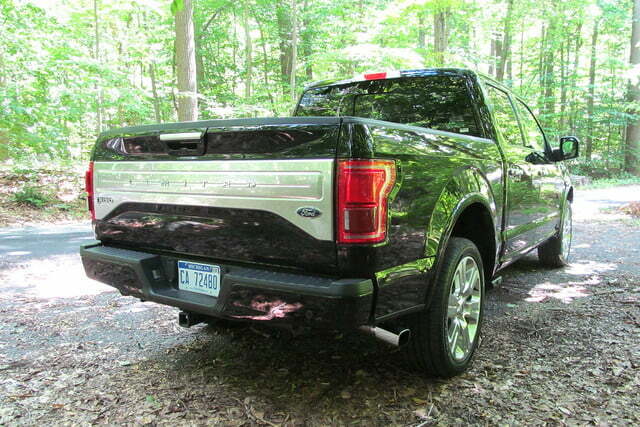 That’s good, because even with the lighter body, the test F-150—with the largest-available four-door “SuperCrew” crew cab—still weighed around 5,000 pounds. 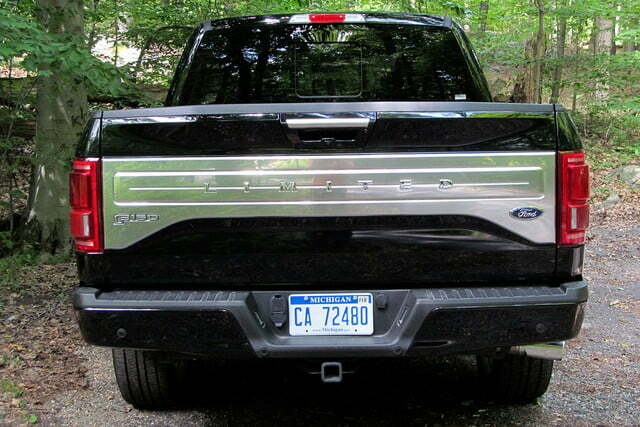 Ford also tried to mold that aluminum bodywork into an interesting shape. The current F-150 is much more aggressively styled than before, with lots of creases and chunky shapes to give it a more macho look. The high-end Limited model I drove was further dressed up with extra chrome trim and massive 22-inch wheels. In black, it looked like a blinged-out railroad locomotive. 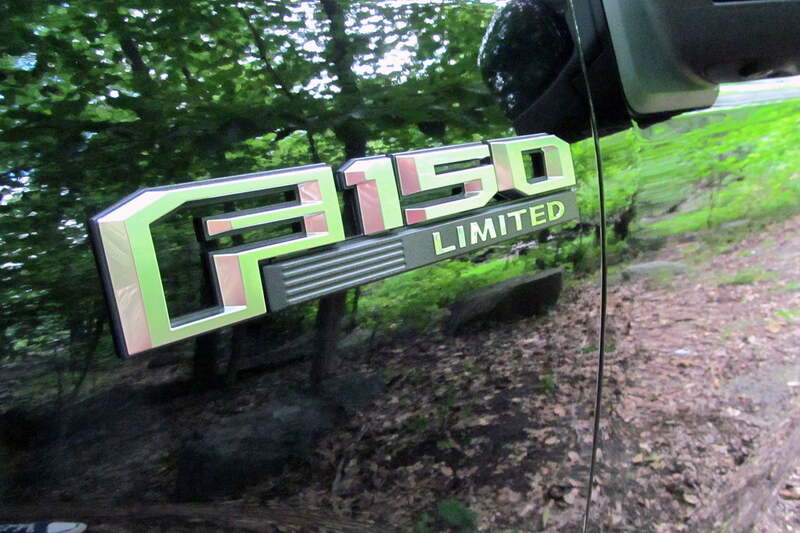 While it is a bit ostentatious when decked out in all of that bright trim, the basic F-150 shape is fairly handsome. The front end in particular, with its domed hood and headlights shaped like Tetris pieces, gives the F-150 a distinctive look that’s much more interesting than the stereotypical boxy truck shape. One of the pros of buying a pickup truck is that you get plenty of options. The 2016 F-150 is available with no less than four engines, including a 3.5-liter V6, 5.0-liter V8, and two of Ford’s turbocharged EcoBoost engines: a 2.7-liter V6, and a 3.5-liter twin-turbo V6. All engines come with six-speed automatic transmissions, and rear-wheel drive or four-wheel drive. I had the 3.5-liter EcoBoost, with four-wheel drive. The twin-turbo V6 produces a stout 365 horsepower and 420 pound-feet of torque, and is shared with the Taurus SHO and handful of other Ford and Lincoln models. 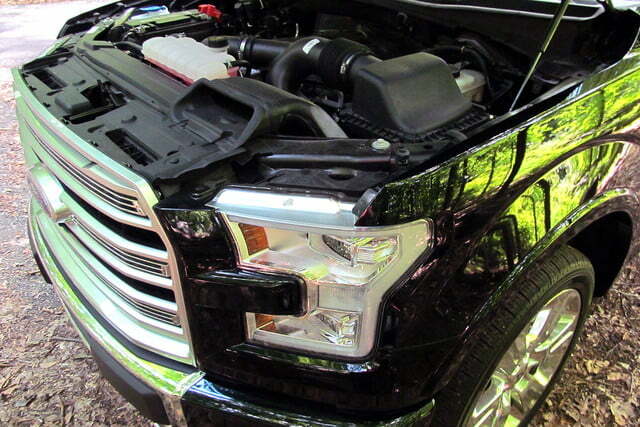 The downsized EcoBoost engines are supposed to offer similar power to larger engines, but with better fuel economy. However, the 3.5-liter V6 doesn’t seem to have a clear advantage over the larger 5.0-liter V8. The 3.5-liter EcoBoost is a great V8 substitute. You don’t get the classic V8 rumble, but you get everything else. 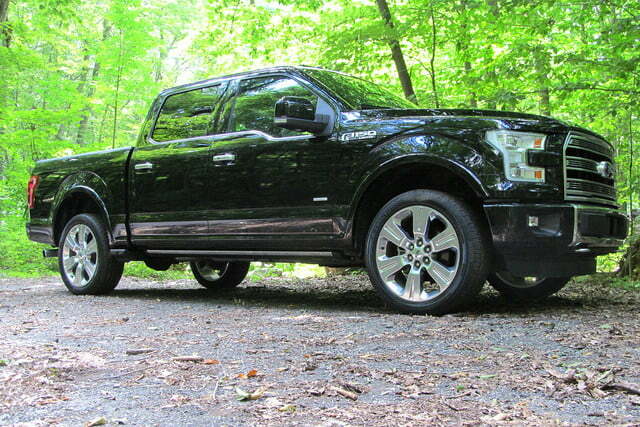 The 3.5-liter EcoBoost is a great V8 substitute. You don’t get the classic V8 rumble, but you get everything else. There is no discernible turbo lag to interrupt the delivery of the engine’s torque, and it pulls strongly at all speeds. 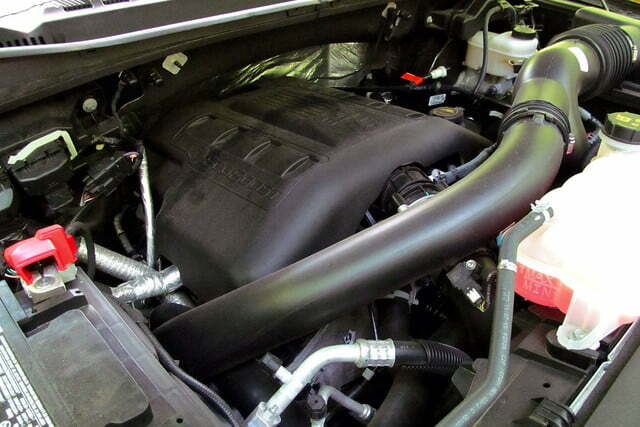 The EcoBoost actually has more torque than the V8, which can only muster 387 lb-ft (along with 385 hp). I definitely felt the difference from the driver’s seat. However, the EcoBoost just isn’t very “eco.” In the configuration I sampled, the EPA rates it at 18 mpg combined (16 mpg city, 22 mpg highway), giving it only a slight edge over the V8’s 17 mpg combined (15 mpg city, 21 mpg highway). Over 310 miles of driving, I averaged 17.3 mpg, according to the truck’s trip computer. With careful driving, I might have been able to get that number up a bit, but driving normally, the EcoBoost’s advantage was essentially erased. It’s also worth noting that Ford will introduce major upgrades to this powertrain for the 2017 model year. The V6 is getting a complete overhaul that includes a boost in torque to 470 lb-ft, and it will be paired with a new 10-speed automatic transmission. It will be interesting to see how that compares to the current version. 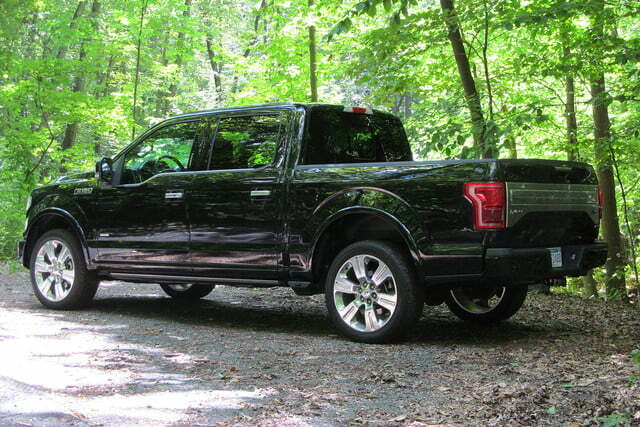 The current-generation F-150 shatters the stereotype of pickup trucks as Spartan work vehicles. You can still get a very basic model, but the Limited version has enough tech and convenience features to put a luxury car to shame. 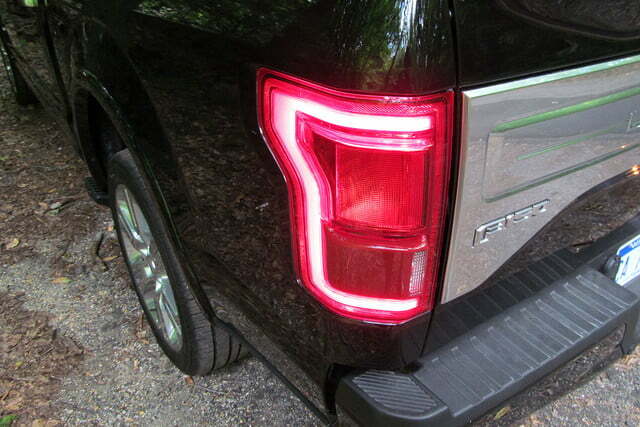 Ford is diligently adapting electronic driver aids that are already commonplace in cars to trucks. My test F-150 had adaptive cruise control, which worked quite smoothly, and lane-keep assist that worked well most of the time, but got a bit flummoxed by tight highway on-ramps. Probably the best tech feature, though, was the 360-degree camera system, which combines front and rear views with a composite overhead view, making maneuvering in tight spaces easy. The F-150 infotainment system is the same Sync 3 system offered in other 2016 Ford models. It’s not the most elaborate system out there, but it is a huge improvement over the old MyFord Touch systems, and is pretty straightforward to use. 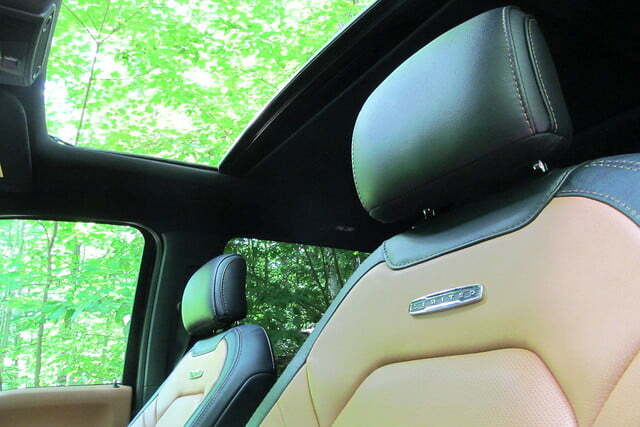 In the Limited, you can play with it from the comfort of massaging, heated and cooled seats, and gaze out a full-length glass roof when you’re not busy with the screen. There are certainly no shortage of distractions in this truck. While the massaging seats were nice, the interior itself didn’t seem upscale enough for what is a nearly-$70,000 truck. 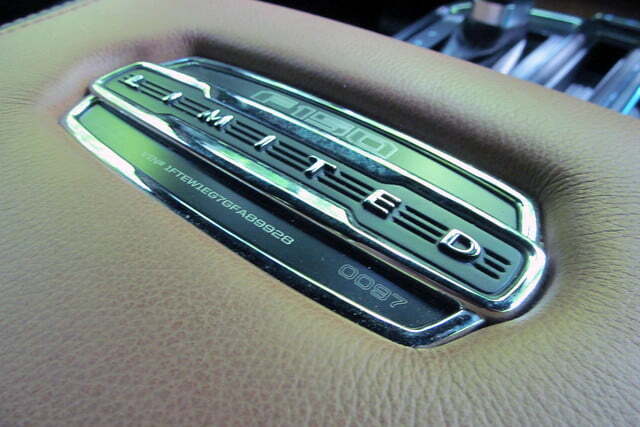 The wood trim looked fake, and the cabin was plastered with tacky “Limited” badges. That being said, the basic F-150 interior is pretty nice, with a chunky design aesthetic that matches the exterior, and a nicely composed center console that puts controls within easy reach. But you’ll never mistake this Ford for a BMW. 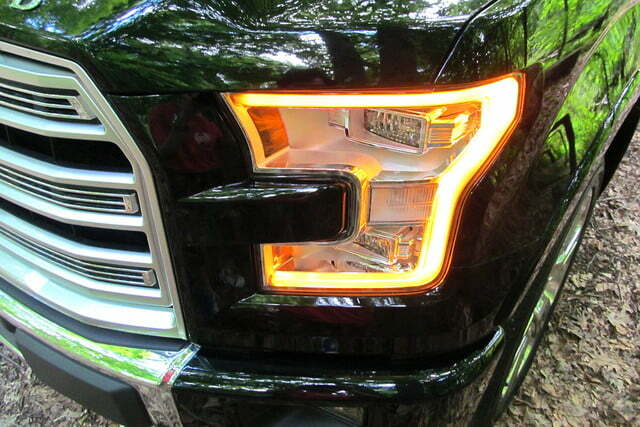 The F-150 never lets you forget that it’s a truck, but it is still pretty well mannered. The suspension soaks up bumps and potholes nicely, although there is still apparent shudder on less-than-perfect road surfaces. The cabin is remarkably quiet, and the steering is relatively low effort. The 2016 F-150 starts at $27,735 (including destination), but add options like four-wheel drive, the 3.5-liter EcoBoost engine, and a crew cab, and the price starts to climb quickly. 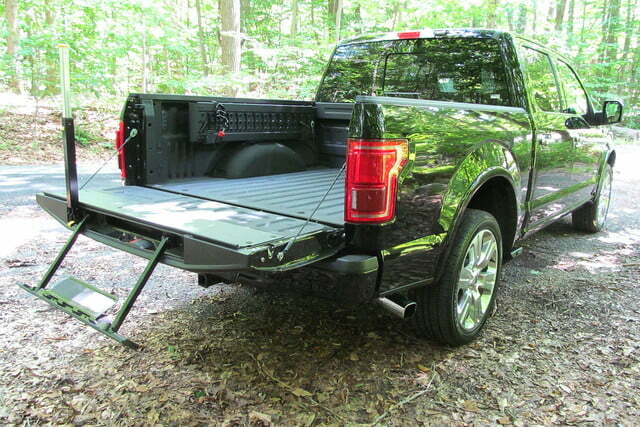 My F-150 Limited test vehicle carried a positively stratospheric base price of $62,290, but options like a trailering package, tailgate step, park-assist system, and spray-in bed liner swelled that price to $67,270. That price does buy a list of features as long as, well, the truck itself, but they’re probably not all necessary. 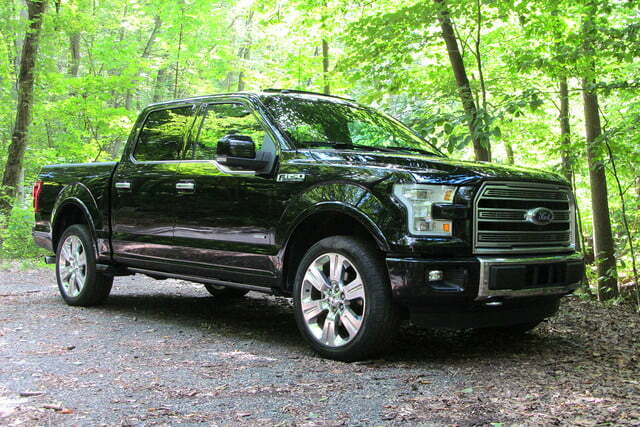 It might be best to skip the leather interior and 22-inch wheels, and go for an F-150 in a lower trim level. 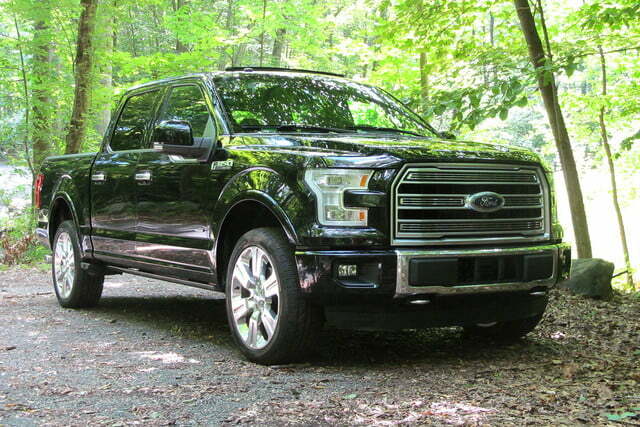 The 2016 Ford F-150 is a solid truck. It’s impressively civilized and refined and, with the 3.5-liter EcoBoost V6, should offer plenty of grunt for most jobs. 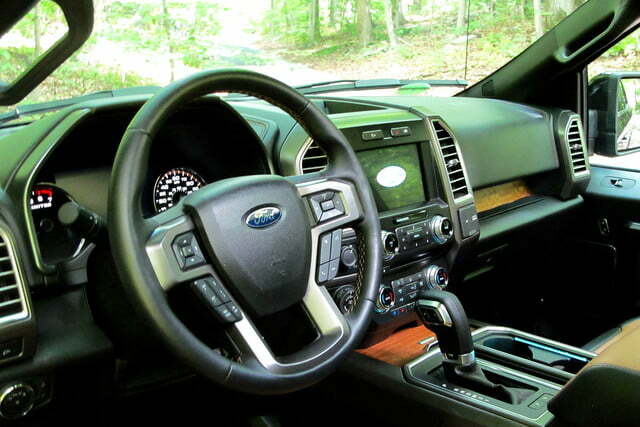 The interior is well designed, and Ford includes plenty of tech features. Just make sure things don’t get out of hand when selecting options.